OK, OK, I know International Noise Pollution Awareness Day isn’t celebrated worldwide until April 25, despite the fact that in 2012, it was celebrated here in Ghana on the 16th…and by madinghana as well! And look, this is uncanny, I just started this post and went on Facebook to get the FB link to The View for above and what just appeared!!!! ‪#‎SaturdayNightLive‬ with ‪#‎DJSLIM‬ @Slim Deejay powered by ‪#‎Hennessy‬ is happening this month at the view bar and grill kumasi , this Saturday 5th and 19th April (‪#‎EasterSpecial‬) , 10pm … Dress to kill, 30gh at the door /Reserve a table (2bottles minimum) Call 0244668880 to make reservation.. However the #SaturdayNightLive would be happening twice every month.. 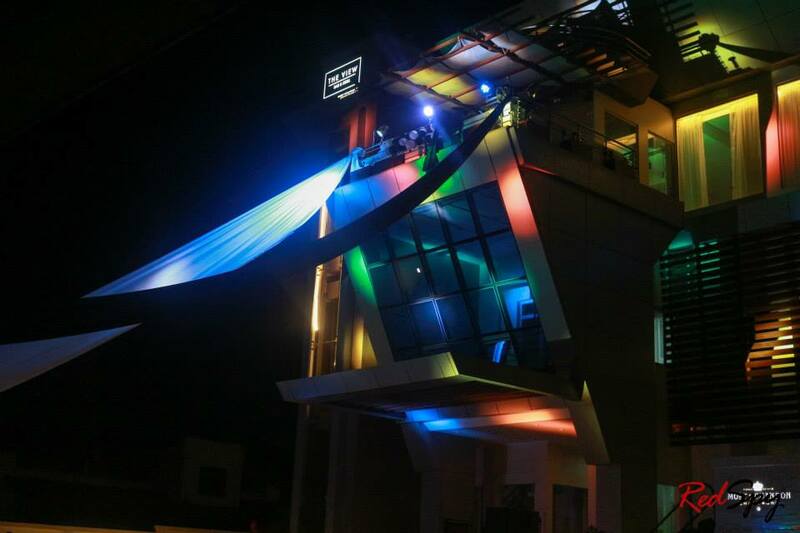 The view bar and grill would be giving you a world-class night club experience twice every month with amazing cocktails and bottle service by the best in Ghana. Wow! Isn’t it nice of The View to give the whole neighbourhood a world-class night club experience twice a month! 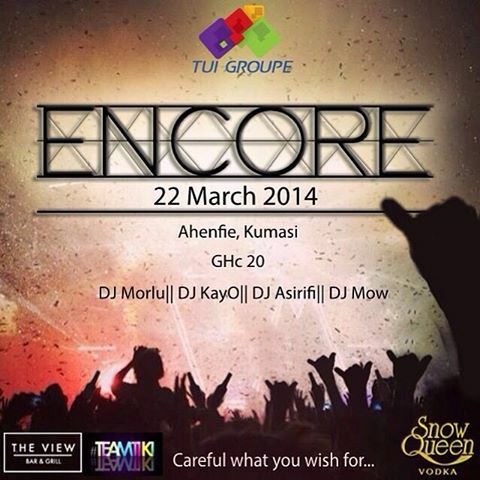 Ha, actually it is more like a Ghanaian night club experience! Outside at a roadside bar in a first class residential neighbourhood or poolside in a hotel located in a first class neighbourhood. 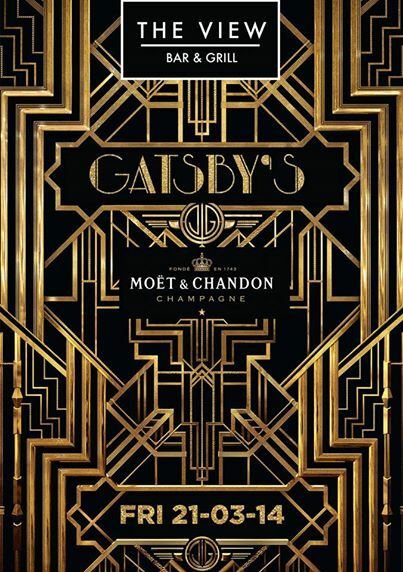 Let me catch you up….on Friday night March 21, the View held a Great Gatsby Night! I did not comment until the next day when I saw that The View was sponsoring an event at an establishment near KNUST (Kwame Nkrumah University of Science and Technology. Christopher Scott Hope the “events” are out at Encore. The Gatsby event was loud enough to wake F Scott and Zelda from the dead! 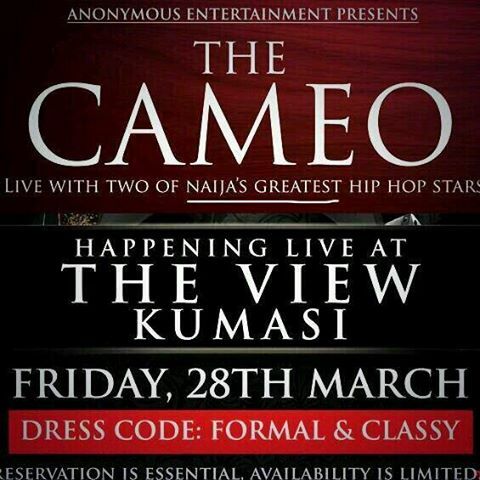 But then exactly one week after the Great Gatsby event, The View held another event called The Cameo featuring two Naija rappers…need I say more. This event kept me from sleeping and guests complained in the morning at breakfast. So picture me fuming in bed Tweeting! #noisyneighbours here we go again! Not a church nor a tiny roadside bar, the powerfully backed upmarket THE VIEW. 4:30 am blasting. Tired..
@mykumasi #noisyneighbours THE VIEW disturbing Atasomanso first class neighbourhood. Second time in two weeks. @madinghana Don’t like hearing that warrior Chris Scott is tired… Feel better soon. Good luck with complaint! 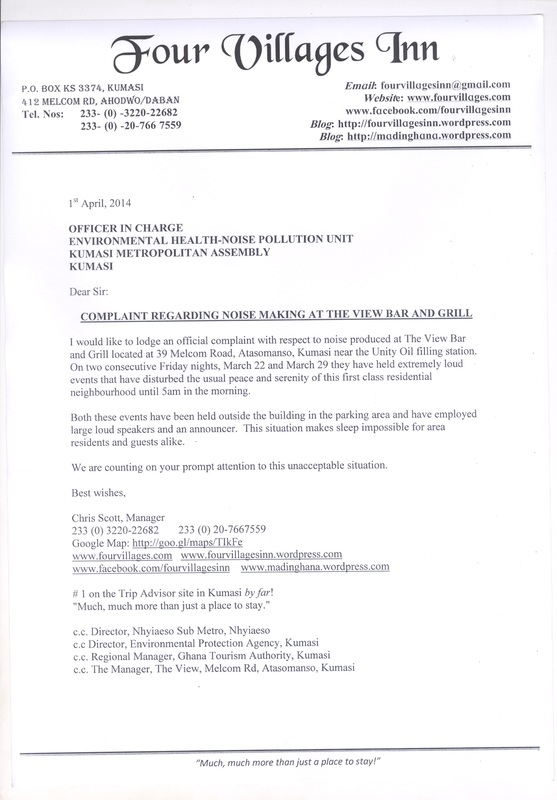 @mykumasi please act! Back to the present -March 31…so I’m not that tired I can’t write a letter of complaint and hand deliver it on April 1…am I the April fool…don’t answer that! ‪#‎noisyneighbours‬ here we go again! Not a church nor a tiny roadside bar, the powerfully backed upmarket THE VIEW. 4:30 am blasting. Tired..
Afia Adzimah So sorry!! I am also allergic to noise… Go there and let them know!! Nana Appiah Boateng Call Police for them. Well, tomorrow I am going there and as for the Police…the next “not regular occurrence”,twice monthly events sound pretty regular top me, will be April 5 and April 19th…ugh…I’ll see if I can get some top cop email addresses to send this post to…and needless to say I’ll be sending this post to the hashtags and posting it on The View pages!